Kathlyn Williams was born in Butte, Montana, May 31, 1888. She studied drama at Wesleyan University. She began acting in local stock companies, and then went on to attend the Franklin Sergent Dramatic Academy in New York, her education financed by a benefactor, local tycoon Senator W.A. Clark. She once again began touring with stock companies, and while in Chicago, Col. William Selig signer her to the Selig-Polyscope Company. At least one source says she made three films for Biograph in New York in 1910 before signing with Selig. Williams made 45 films for Selig from 1910 to 1912, and then came the serial "The Adventures of Kathlyn" in 1913-1914 which made her a star. She also made a series of films with Harold Lockwood that year. She also had a starring role in the first filming of Rex Beach's "The Spoilers" in 1914 with William Farnum and Tom Santschi. The next three years continued to be busy years for her not only starring in a number of films but writing screenplays, as well. Also in 1916, she married film executive Charles Eyton. Since Eyton was employed by Paramount, it was natural that she move there. She made 26 films from 1917 to 1926. Her contact with Paramount ended in 1921, but she continued acting on a freelance basis now appearing more in older roles or character parts. Two such roles that can be viewed today are as Anita Page's mother in "Our Dancing Daughters" (1928) and as Greta Garbo's mother in "The Single Standard" (1928). She was financially well of and only appeared in six talkies between 1929 and 1935. She had divorced Eyton in 1931. 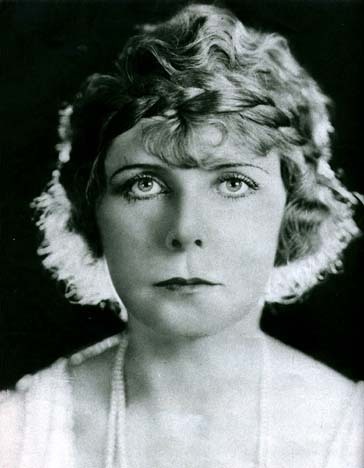 Williams maintained an active social life after her film career ended. In 1949, she was involved in a car accident that resulted in the loss of a leg. Fitted with a prosthetic leg, she continued her social activities until a heart attack ended her life Sept. 23, 1960.